Thoughts from a Traveling Tech: Which button is go? I checked into the hotel this week and needed to warm something up real quick. 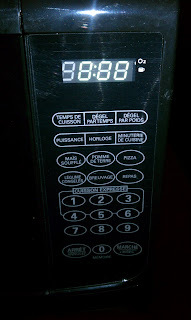 I bend down and hit the button to open the microwave door, place the item in there, and then start to hit the microwave. Wait, which one is start? I look at the panel and apparently this hotel in the middle of the United States has a huge population of French speaking visitors, either that or they bought the cheapest units they could find on that truck that stopped out front. 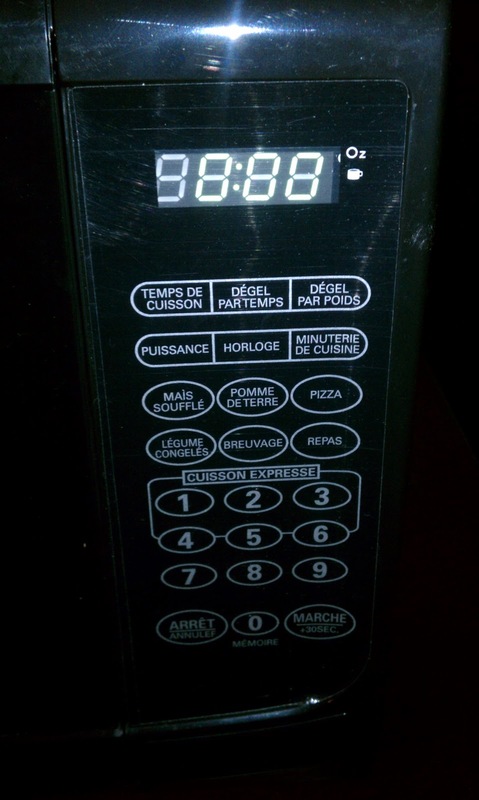 Never did figure out which button it was. Labels: buttons, cheap, electronics, foreign, French, hotel, Microwave, Really?